As gentle waves lapped the sandy shore at Park Point late Sunday, pairs of people waded into Lake Superior, one on each end of a long seine net. They pulled the net through the water back toward shore, up on the beach, and shine their headlamps on it, revealing a couple dozen silvery fish the length of a butter knife, flopping on the sand. "Look at 'em all," said nine-year-old Brock House. "You got the mother load in here!" It's springtime, which in Duluth, means the smelt are running. Forty years ago, Duluth was nuts over the small silver fish. Hordes of people flocked to Lake Superior streams and beaches every spring. The water was so thick with smelt it wasn't hard to catch a garbage can full. Smelt frys were everywhere. The smelt population crashed in the 1980s, but diehard smelters are still keeping the tradition alive. Among them is Brock, who scooped up the fish from the net and plopped them in a five-gallon pail. "Hey, pull your sleeves up so you don't get all wet buddy, we got a long night ahead of us yet," said his dad, Keven House. House, of Wrenshall, Minn., said he started smelting more than 40 years ago, when he was his son's age. "I remember friends of mine would come up from the Cities," he said. "We had pickup loads." That was during smelting's heyday in Duluth back in the late 60s, 70s and early 80s, when the smelt were thick in the water, House said. Thousands of people from around the region would converge on the city when they spawned. The Chamber of Commerce even operated a smelt hotline for people to call to find out when the fish were running. "It got to the point where Duluth went crazy for smelt," Duluth native Jim Heffernan said. He recalls bumper to bumper traffic, drunken smelters ripping up picket fences to feed their bonfires, even a drowning in the Lester River. "It was kind of a window in Duluth's history of complete anarchy every April!" he said, laughing. Then, about 1985, the smelt population drastically declined and the smelt madness largely came to an end. 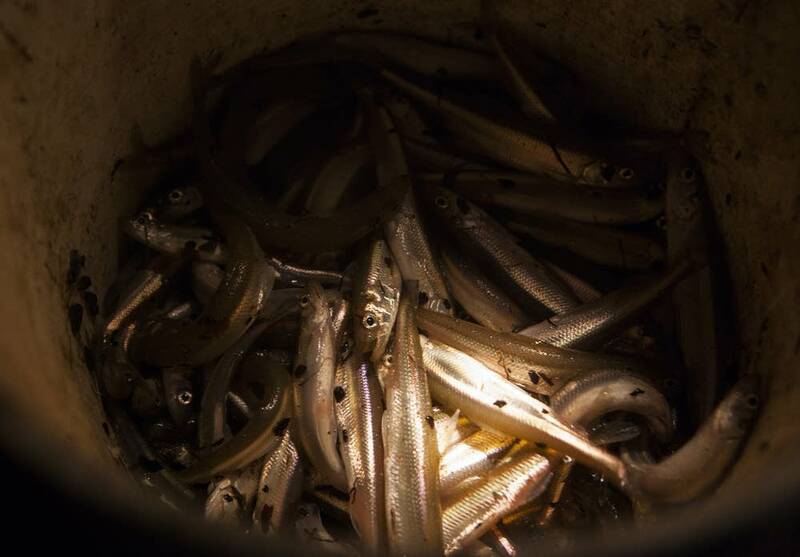 To understand what happened, it pays to remember that smelt — for all its local prominence — is actually an invasive species, DNR Area Fisheries Supervisor Don Schreiner said. "It came in and it exploded as far as numbers go," he said. "And then it's fallen down to a very low level." Rainbow smelt are actually an ocean fish that, like salmon, can survive in fresh water. In the early 1900s they were stocked in an inland lake in Michigan. But they escaped to Lake Michigan and eventually to Lake Superior in the 1940s. At about the same time sea lamprey, another invasive species, arrived in the Great Lakes. The lamprey killed off lake trout in huge numbers. Without trout to prey on them, the smelt boomed. Then, in the mid 1960s, scientists developed a chemical that killed about 95 percent of the sea lamprey population. By the 1980s, the lake trout had rebounded, and along with salmon state fisheries workers introduced, they feasted on the hordes of smelt. Schreiner said the commercial catch of smelt fell 99 percent from about 5 million pounds to at best about 50,000 pounds. "That's a pretty good year," he said. As the smelt have declined, native fish like cisco, or lake herring, have rebounded. According to Schreiner, the annual commercial cisco harvest has grown to about half a million pounds. That's enough to support a smelt fry like this one at the Tappa-Keg-Inn in west Duluth. Owner Sandy Kelly buys 1,500 pounds of smelt every spring. She said it's her busiest time of the year. "We're always thankful when smelt season comes around," she said. So are her customers, like Alice Olson and Sue Michalski, who grew up in the neighborhood. "I like smelt because I like fish, and I like to at least have one meal a year," Olson said. Michalski remembers her sons spending all night smelting. "And they'd come home with buckets, and I'd be cleaning buckets of smelt!" she said. It was a lot of work, she remembers, but the beer-battered fish they fried up in the garage was worth it. 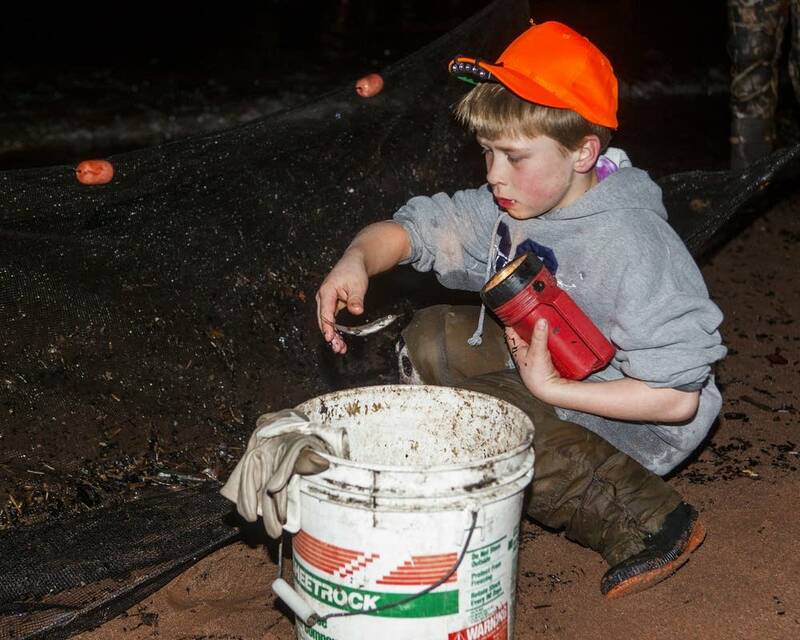 At Park Point, Brock and Kevin House filled buckets with smelt for their church smelt fry. They also followed a longstanding tradition requiring rookies to bite the head off a smelt. Even though it was Brock House's second year smelting, he did it again, spitting out the head and rinsing his mouth with lake water. "Kind of ishy lishy, kinda weird," the boy said. "But it's my second time, so it's cool." Even though the smelt runs are nowhere near what the used to be the traditions they fostered are still going strong. With fathers still passing along this Northland heritage to their sons, smelting will surely remain a celebrated part of Duluth's culture.